In franchising, it’s important to remember that it takes two to tango and that the efforts of franchisees are just as important as those of franchisors. That’s why it’s always a pleasure to see so many talented franchisees recognised at the bfa HSBC Franchisee of the Year Awards, supported by Express Newspapers. On October 1, 20 franchisees attended a gala dinner and waited with bated breath to find out who had won top gong. 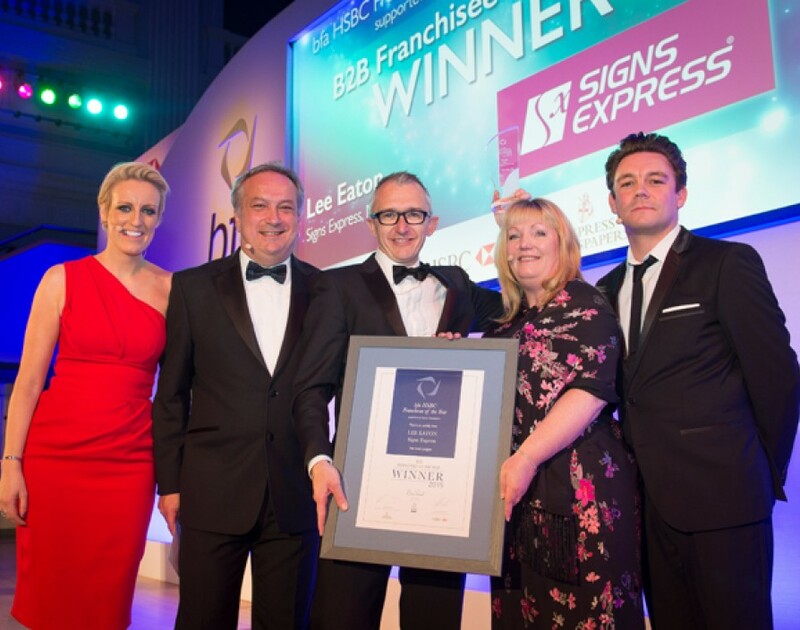 Well now the waiting is over: Lee Eaton of Signs Express Manchester has won both Franchisee of the Year 2015 and B2B Franchisee of the Year 2015. Pocketing the £10,000 top prize, Eaton was recognised for growing his business 25% year-on-year and for his involvement in local community projects. But Eaton wasn’t the only person whose hard work was recognised on the night, with each of the category winners also taking home £1,000 prize money. Richard Dwayne of Snap-on Dartford won Young Franchisee of the Year, whilst Noel Gallacher of Dyno Scotland netted Franchisee of the Year. Meanwhile Female Franchisee of the Year went to Carolyn Sharpe of Puddle Ducks Newcastle, Olderpreneur Franchisee of the Year was won by Mike Guerin of McDonald’s Bristol & Wiltshire and Microbusiness Franchisee of the Year was picked up by Paul Stokes of Little Kickers Hitchin & Bedford. It’s great to see so many successful franchisees getting their due. We’re sure you’ll join us in wishing them a hearty congrats.